56 Gintastic playing cards – each playing card features 8 different gins and occasionally a garnish. Ultimately a game of speed, be the first player to link the gin bottle on one card with it’s name on the other card. Each playing card is unique, meaning there can only ever be one link between two cards. 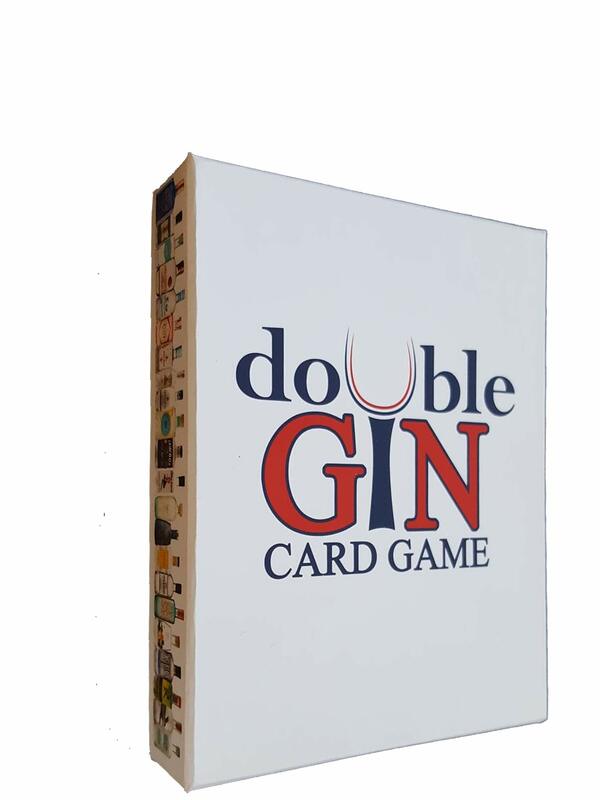 Double Gin is the brand new fast-paced card game for gin lovers. Turn a sophisticated evening with friends into a competitive raucous affair with this amusing new game. Double Gin is the perfect gift for all gin lovers! As well as featuring the UK’s most popular gins, you will be introduced to one or two fledgling gins. Complete with sturdy presentation box for everyday handling.